Stately palms, lush gardens, blue skies and sparkling water...a distant Caribbean island? You don't have to go that far to experience paradise. 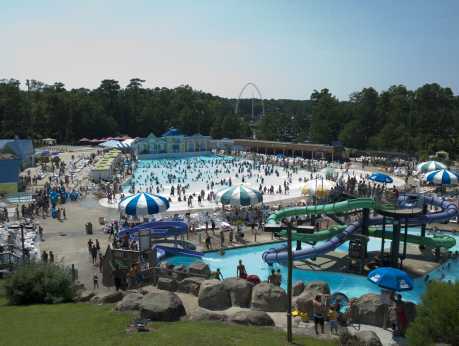 Ocean Breeze Waterpark is less than 2 miles south of the Virginia Beach oceanfront and is open daily Memorial Day through Labor Day. Ocean Breeze Waterpark features 16 water slides, a one-million gallon wave pool and Buccaneer Bay - a water activity area with 11 pint sized slides and a lazy river for children. 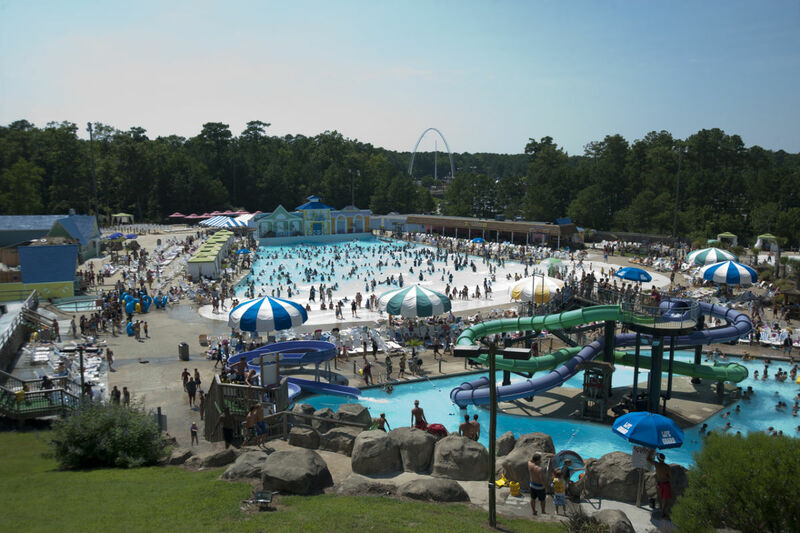 Enjoy on site restaurants and annual events like the Great American Splash. Or, experience a true escape in one of our poolside cabanas. Need to make a larger splash? Groups of 20 to 2,500 can enjoy all you can eat buffets and discounted admission. Call (757) 425-1241.